Think your mum is the most massive? Come weigh your mum outside room M 106 during your lunch. We’re listing some of the most massive on sticky notes outside on the wall between M 104 and M 106 throughout Friday. P.S. 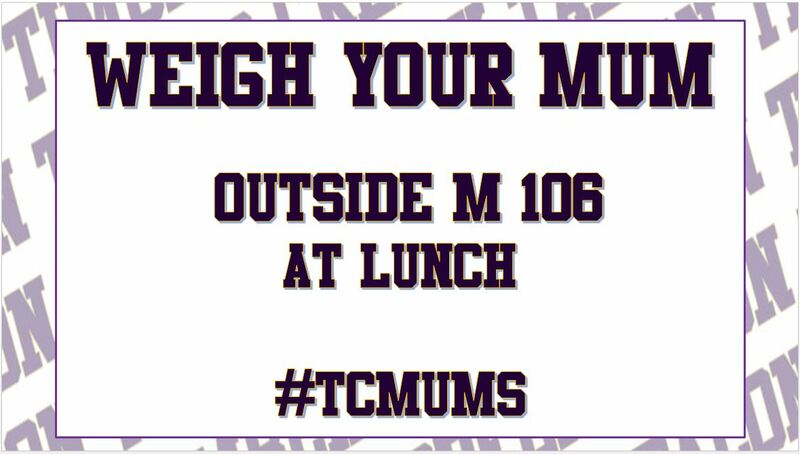 if you tag #tcmums, the Talon will RT.